The central church in Sodo (Saut d’Eau) is the main church at Mountain Faith Mission. It is the largest church and is on the mission property. This is the church where the children from the children’s home worship. I’ve had the honor of preaching at Sodo before, but today was special. As I walked into the church I could tell the spirit of God was present. Nicole Ridings shared how personal God felt as we prayed and worshiped together. The same God we worshiped today in Haiti was the same God glorified all around the world by numerous tongues and nations. I knelt at my chair prior to church and simply prayed that God would empty me. 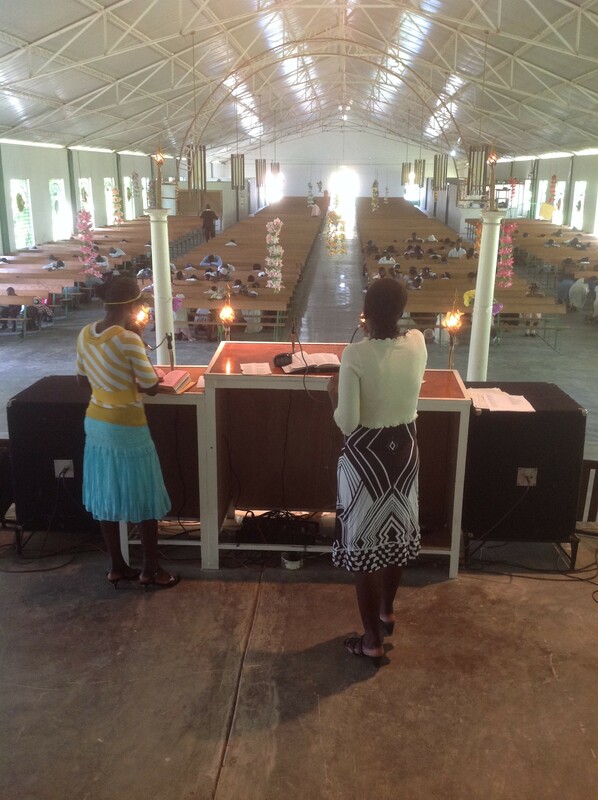 The congregation sang for over an hour, and then I preached from Luke 14. This is where Christ called His disciples to hate their family, their own life, and to take up their cross and follow Him. As I concluded, I couldn’t help but weep. I feel so humbled to be able to speak to people who hunger and thirst after righteousness and have them respond to God’s Spirit. The afternoon was spent with our team spending time with the children in Sodo. Nicole Ridings and Eleanor Conley from Calvary Free Will Baptist in St. Louis, MO. had their hair done by some of the girls in the home. For the most part we simply sat and spent time together. As I headed to LaSalle to preach tonight, I was excited to see old and new friends. But as we came prepared to worship and for me to preach, the schedule changed. It was late and people were not showing up. Bob Roskowske shared how it humbled him, in spite of only the Americans being in the church, Pastor Yves, our translator began to worship. Then a deacon began to lead singing to an empty building and they worshiped. They sang How Great Thou Art, and the four Haitian voices mixed with the six American voices as we worshiped. It wasn’t loud. It wasn’t the most amazing harmony. But it was pure worship. We soon left, and we are closing the day together around a table. So many thoughts are scattered from each of us. Yet, we continue to feel blessed by simply being here to serve. The fact the children want to be with us moved us. We must go now, there are around 30 kids waiting in the new girls dorm for a group of Americans with whom they cannot communicate with to sing and laugh.